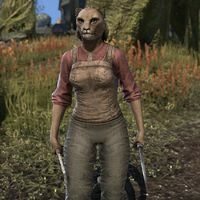 This article is about the Khajiit in Narsis. For the Khajiit in Velyn Harbor, see Abernura-dra. Abernura is a Khajiit chef who runs Sup And Sup Well stall in Narsis. "This one makes soup. Tasty, fills your belly, keeps the plague away." This page was last modified on 15 March 2019, at 15:40.